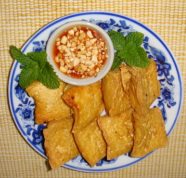 served with a slightly sour peanut sauce. 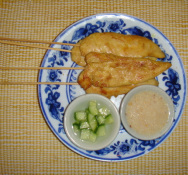 Slices of chicken on a stick, marinated in coconut milk and special light curry sauce, served with peanut sauce cucumber sauce. 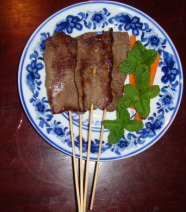 Grilled marinated beef on a stick, served with teriyaki sauce. 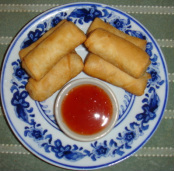 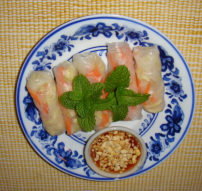 Veggies in a spring roll wrapper then deep fried, served with sweet and sour sauce. 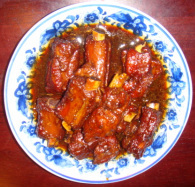 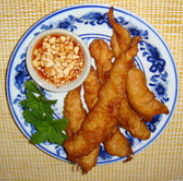 Marinated Thai style and deep fried until crispy served with chill sweet & sour sauce. 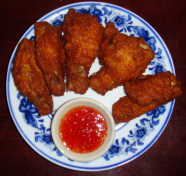 Vegetables battered deep fried to a golden crispy and served with sweet & sour sauce. 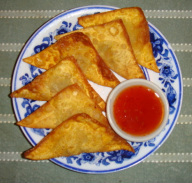 Ground pork marinated wrapped in wonton sheet then either steamed or deep fried served with homemade soy sauce. 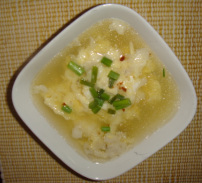 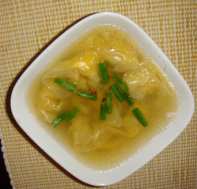 Ground pork and shrimp mixed together with chestnuts and scallions steamed in a wonton wrapper, served with ginger soy sauce. 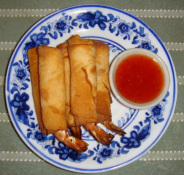 Marinated shrimp deep fried to golden crispy and served with sweet & sour sauce. 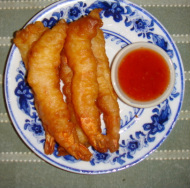 Shrimp battered deep fried to golden crispy and served with sweet & sour sauce. 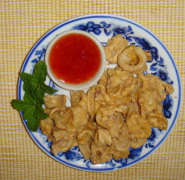 Calamari battered deep fried to golden crispy and served with sweet & sour sauce. 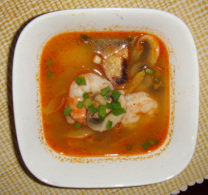 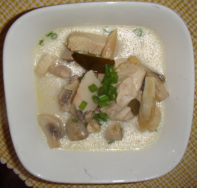 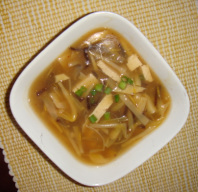 with bok choy and scallions on top.